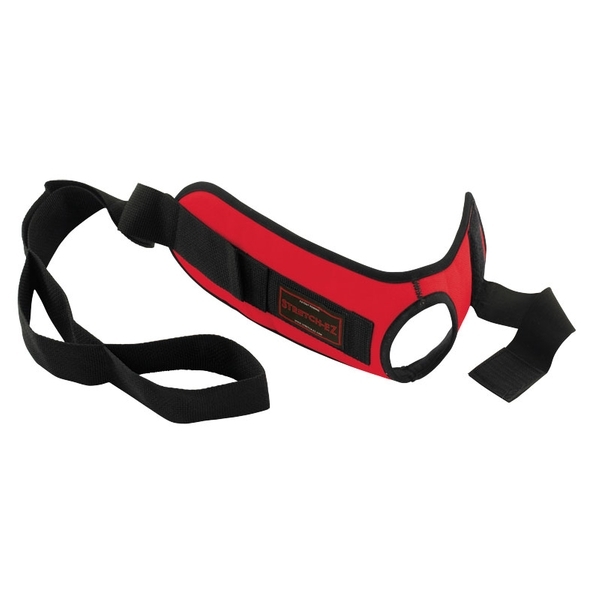 A unique stretching aid that assists in the treatment of plantar fasciitis, heel spurs, calf, thigh, hip and low back strains and injuries, even for users with limited range of motion. Non-returnable. i have nerve damage on my left leg and foot. I need to stretch the quads and the IT band from a knee operation. 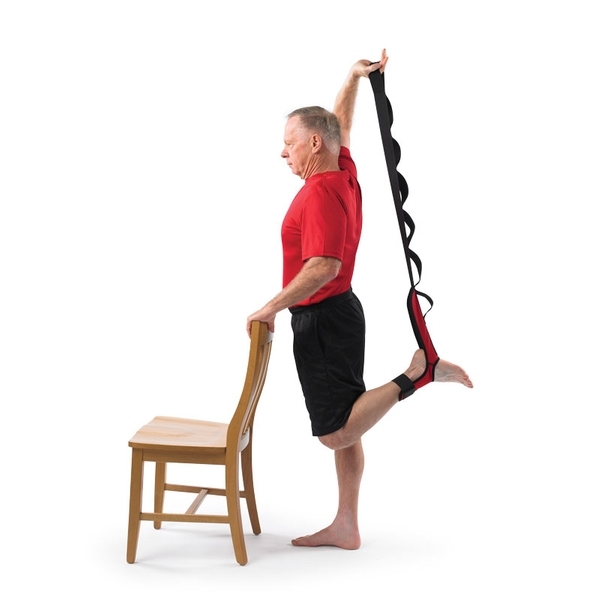 This device is exactly what i was looking for to do those stretches by myself. The foot stretch is really great for my nerve damaged foot. The quad and IT band stretches make me smile for a minute. I have had planter fascia -itis two times and now I&apos;m fighting Achilles tendinitis. This by far is the best thing I&apos;ve had to work with for my stretching I use it before I get up, or put my feet on the floor. I&apos;ve done everything under the sun in treatment and therapy. I&apos;m not saying this will cure it. I&apos;m saying this is the best thing to do the proper stretching, which in the long run, helps you recover. I&apos;ve struggled with plantar fasciitis for quite some time and have tried several products for stretching out my plantar fascia. All of them have worked to an extent but the Stretch EZ is my favorite. It folds up nicely, so I just keep it in my nightstand to use before bed and especially in the morning. More importantly, it really does work. I can sit while I&apos;m stretching, I can control the amount of pressure, and it lifts my toes up, which makes you really feel the stretch. I&apos;ve already recommended it to a few friends and family members who have similar issues.